Sugar, spice and everything nice. ManageWP 101 and a lot more! 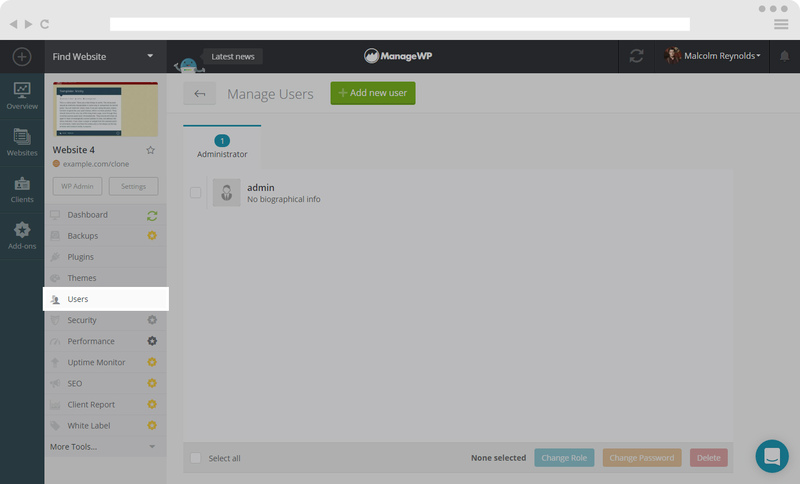 In Manage Users you are able to manage the users on your site/sites, everything from password and role changes, deleting them and adding new users. 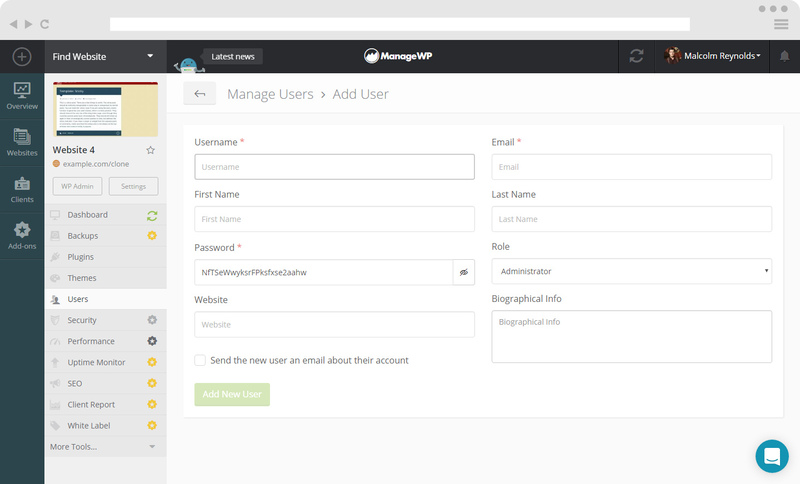 In order to Manage Users on a single site, click on the site that you wish to manage your users on. 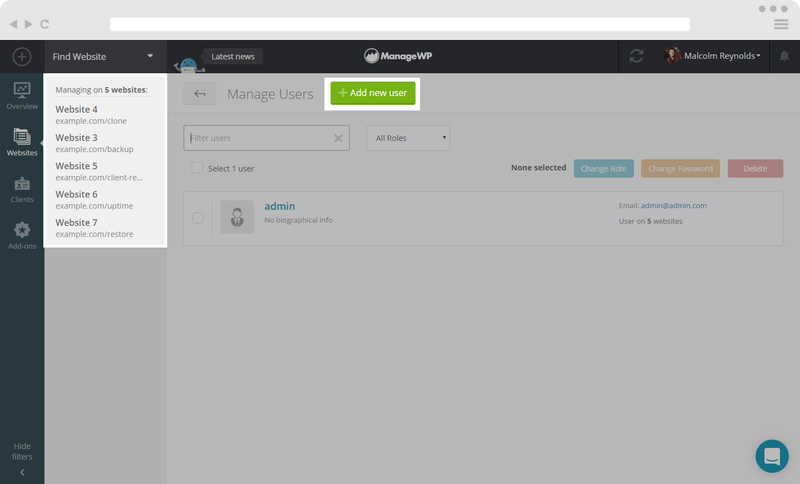 On the left hand side you will see a list of options and click on Users to start managing. There you will be able to see options to Change Role, Change Password and Delete. 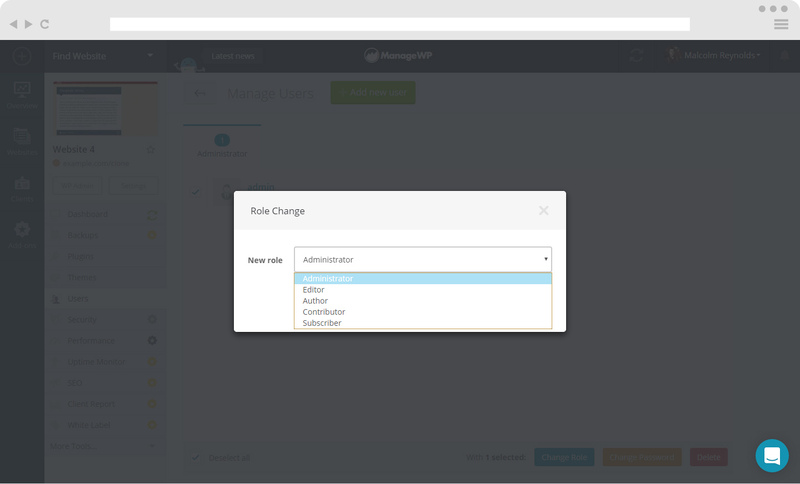 Here you will be able to select the role you wish to assign to your users. Here you will be able to assign a new password to your users. On the top you will find Add Users button – click on it and it will take you to the above screen. Here you are able to insert all of the necessary information for your users, including role and additional information. N.B. If you wish to inform your new user of their account check the box “send the new user an email about their account”. When you have completed the process, click Add New User. If you need to Bulk Manage, select the sites that you wish to bulk manage users on. On the left hand side you will see the list of sites you are managing users for, and on the main display window you will see the users that are connected to the sites. 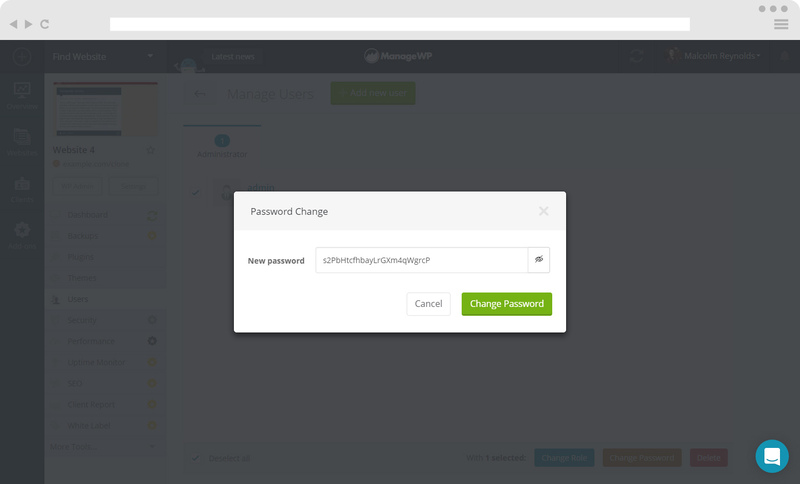 Here you can perform the same actions – Change Role, Change Password and Delete Users but in bulk.